← More manly man-rock from the men of A Voice for Men! Paul Elam on “stupid lying whores,” Rebecca Watson, and how he never claims to be a victim even though he totally is one. In the fast-paced, perpetually busy world of today, we don’t all have time to read every post on A Voice for Men. 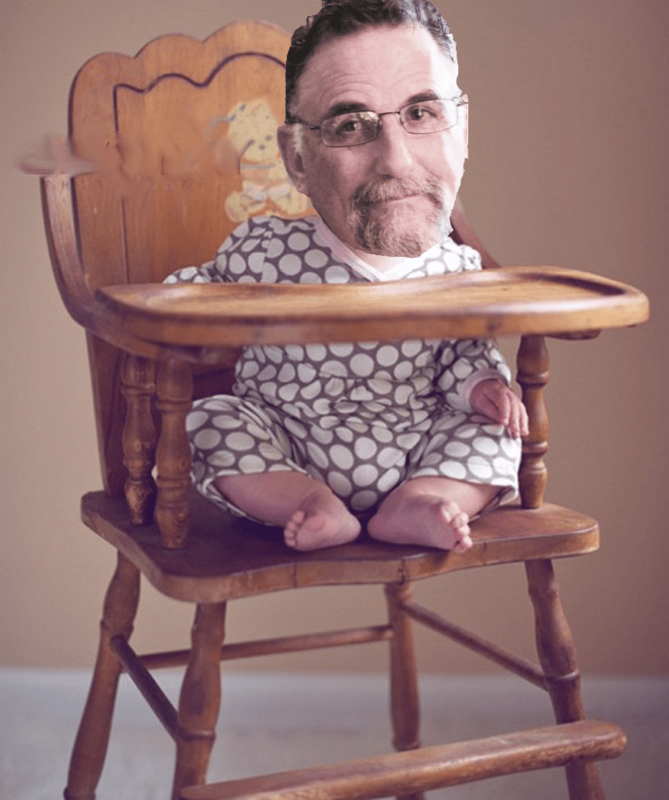 So here is an edited version of Paul Elam’s latest post, on Rebecca Watson of Skepchick. And whores. And how he personally doesn’t spend all his time claiming to be a victim, even though he totally is one, in case you forgot since the last time he reminded you of that. Whores … typical whore … Main Street walking, garden variety anybody’s whore … honest whore. … corporate whore … corporate whores … whorish sexual symmetry … stupid whore … stupid whore … whore … lying whore … whore … lying whore … whore … lying whore … corporate whore … a lying whore can also be a corporate whore … whoring for the cause … whore … PZ Myers … stupid, lying whore … not just a lying whore who also happens to be a stupid whore … a different subspecies of whore altogether … stupid, lying whore … whore that rigorously abandons intellect, rationale, evidence, decency and compassion, and also fosters much deserved hostility toward themselves … stupid, lying whore … stupid, lying whore … . Paul Elam, meet Tom Martin. I have a keeper file of death threats, but I never wrote an article about them. I have been hounded recently by half the media hacks in Canada … it does not even compare to John the Other facing a gang of 20-30 assholes on the street, some wielding box cutters … 2 plus 2 equals stupid, lying, whining whore. What John and other MRAs are starting to encounter every day, and the future of what is to come, makes getting bestially raped by Richard Dawkins sound kinda funny. We just don’t get the luxury of playing the damsel in distress, nor do we want it. There are maybe 1200 more words to his post, but I think you probably get the gist of it. Watson’s post, by contrast, is worth reading in full. Say, does anyone else here have a cat that likes to have an audience while eating? Cat2 is forever coming up and rubbing ankles, then wanting us to follow her to her bowl and watch while she eats a few nibbies. Before I moved away from my parents’ house, we had five cats who ALL required an audience while eating. I wonder if it’s some instinctual danger-prevention technique. Because cats view us as bigger, fleshier cats with thumbs, and maybe they think we’ll protect them while they eat their, uh, kill. Now we just have two (I say “we” but I don’t live there now) and they’re still pretty needy in that department, even 5 years later. If you leave while they eat, they will come find you. You better not even THINK about going back to bed! What if I don’t like what you put out? What if I need crunchies sprinkled on top of my wet food? I DEMAND WATCHING AND I WILL KNOCK EVERYTHING OFF THE TABLE AND BAT AT YOUR DOOR UNTIL YOU WATCH MEEEE. ROFL that way outdoes Cat2’s need for an audience, chocmintlipwax! And then of course there’s the “I did a wee/poo and you must clean the litter NOWWWWWW!” – Cat1’s usual trick. Or lining up to be the first to use the new litter, having shown NO need to use it before she heard the bath (we use a plastic baby bath, good for all those deep mining operations) being cleaned. That’s Cat2’s other specialty. Every time I look at the AVFM website, I am amazed at how sick and angry these men are. I have to wonder, what drives this paranoia. Interesting that you advocate not fully reading Elam’s post but advocate fully reading Watson’s. >What John and other MRAs are starting to encounter every day, and the future of what is to come, makes getting bestially raped by Richard Dawkins sound kinda funny. What’s being pointed out is that we also receive death threats but we don’t constantly brag about them as if they must come from those who oppose us in arguments.